Here are some of the hottest free sample and coupon offers currently available. The offers change weekly, but you can check this list simply by hitting the “Hottest” button in the top menu bar. Remember that I want you to Be A Smarter Freebie Finder, so please read the fine print on every offer you find before signing-up. My husband and myself both found ourselves "unemployed" due to this recession and I seen you on Oprah and BELIEVE ME Heather, you are like a godsend in these tough times.Keep up the good work! Great site – I have used it a couple of times for some nice and legitimate offers (thank you!) I wanted to send a note about something I saw on ripoffreport.com (consumer-reporting website) in regards to Easy Bakeware. Just recommending that anyone interested check it out first to see if they want to go ahead with the offer.Thanks again! 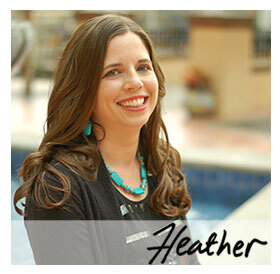 I have always benefited from following/using tips/advice posted by Heather. None of this is spam. You need to read and make informed choices. Not click blindly. Heather you do a wonderful job. I saw you on oprah. And kept telling my hubby throughout the program, that’s the lady I get all my freebies from! Keep up the great work! Just so everyone knows… You can get a “free” pair of contacts of any brand from your Optometrist’s office. Most doctors work with trial lenses to find what works best for the patient. If you want to try contacts you need to call your doctor and schedule a contact lens examination and fitting. Take it from me, an Optometrist’s tech. Thank you. I found the boost at walgreens and cvs, but they were not at kroger or walmart. You can find Boost Essentials also at Target. Look in the baby food aisle. Just got shut down on useing online coupons at the DOLLAR GENERAL stores! (in oklahoma) arrrgh! They will accept news paper ones or manufactured mailed ones !But no longer internet printed ones !That is striaght from the dollar general corp.! seems some people have ruined it for the rest of us by coping coupons over and over by the tons !Just goes to show a few bad apples screws it up for the rest of us !To bad too was getting really good buys there! So people quit getting greedy and play right so we can all reap the benefits! I FOUND THE BOOST ESSENTIALS AT WALGREENS IN THE BABY DEPARTMENT WHERE THEY SELL THE POWERED MILK AND SUCH. I found the Boost at Kroger in the baby section (bottles, diapers, wipes, lotions, pedialyte, etc.). Walgreens carries the Kids Essentials multipack where I live. Dear Heather,My daughters name is Heather; she has been interested with the Emergen C. But I wasn’t sure if she would like it because she is picky, so I went to Emergen C’s website and you can get multiple free samples for you and/or a friend!